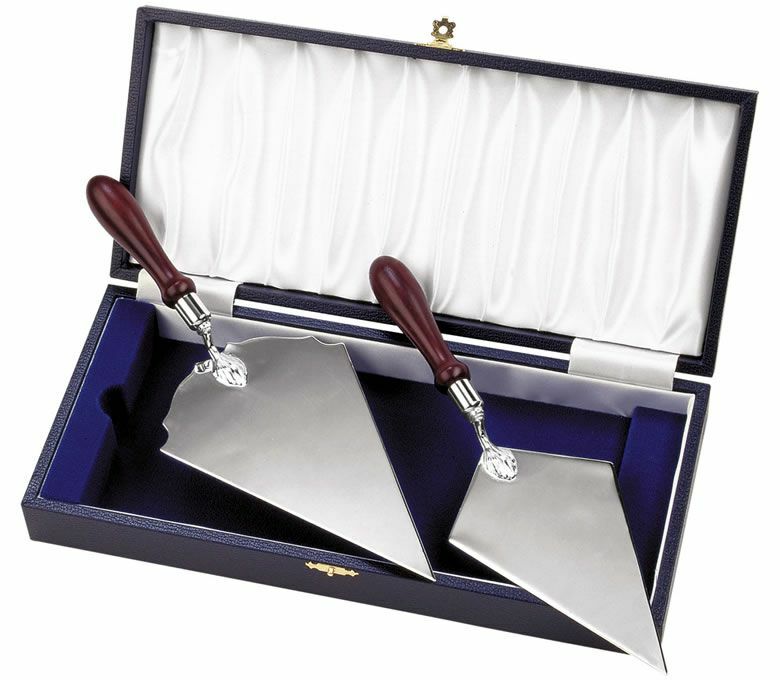 Fine quality silver plated trowel supplied boxed or with optional deluxe cases (product image shows both this 10.5in and our 11.25in B176 trowels with deluxe case). Perfect corporate awards or recognition awards for the construction or building industries. These ceremonial trowels are ideal trowels for topping out or breaking ground ceremonies. 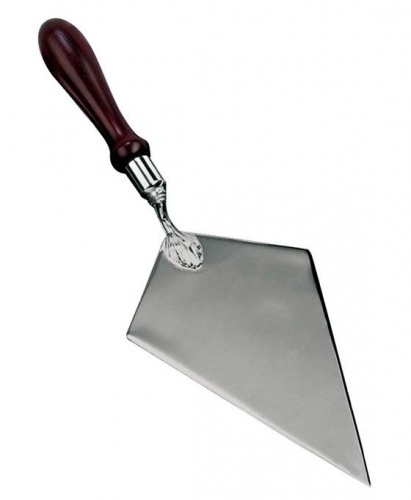 10.5in in length, offered with low, fixed-cost engraving and free logo engraving of your silver trowel.